Your public library is a great place to go to read magazines, check out books, and borrow e-books – all with your free library card. Now, if you’re lucky enough to live in New York City or Chicago, you can borrow and take home a Wi-Fi hotspot much the same way. The cities’ libraries were among those named winners of the John S. and James L. Knight Foundation’s Knight News Challenge, which asked entrants how they would use grant money to “strengthen the Internet for free expression and innovation.” The New York Public Library is using its $500,000 grant to fund its Check Out The Internet program, which will make 10,000 Wi-Fi hotspots available for lending to low-income families. The Chicago Public Library’s similar Internet to Go program will use its $400,000 grant to provide hotspots and free digital skills classes in neighborhoods where broadband adoption rates are under 50 percent. Public libraries have long been a place for all families to access information, news and government services online without charge. These innovative new programs simply build on that existing offering, letting those who can’t afford home internet service borrow it, if only for a few weeks at a time. Don’t live in a big city? Loaner Wi-Fi hotspots could be coming your way soon, too. 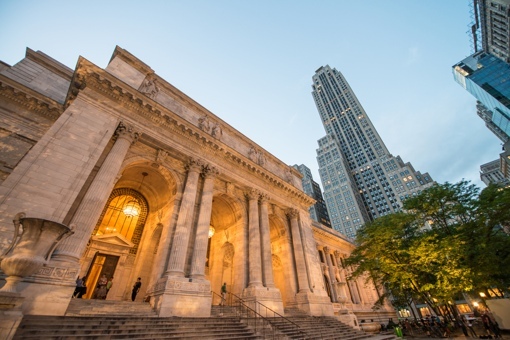 According to The Atlantic’s Citylab blog, the New York Public Library is using a portion of its grant to collaborate with the State Library systems of Kansas and Maine to determine how a public Wi-Fi loaner program might work in rural areas.